« Two New European Champions! 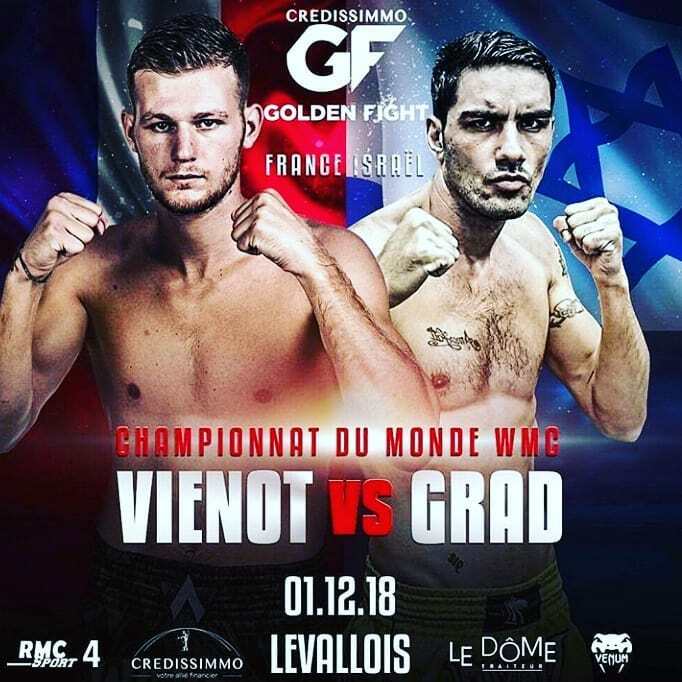 The 1st of December is the date for one of the biggest fights in the year between WMC Middleweight reigning champion Jimmy Vienot and challenger Ilya Grad. Jimmy Vienot from France is the current WMC champion taking the belt from Sorgraw Petchyindee in August in what was an amazing battle at the prestigious Ratchadamnern Stadium in Bangkok. Ilya Grad from Israel needs no introduction in the world of muaythai having been a star in the emmy nominated Challenger series in Malaysia as well as being a former WMC world champion himself. This promises to be a great fight and has got muaythai fans excited across the globe. This entry was posted on Wednesday, November 28th, 2018 at 5:33 PM	and is filed under News.